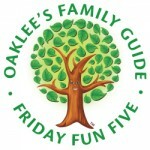 Here are our top five favorite events for you and your family to enjoy this weekend! Get out there and make some memories! For more great family events, see Oaklee’s Digital Edition, or search our calendar of events! 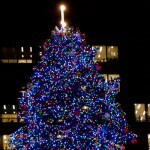 You can visit with Santa at these neighborhood tree lighting ceremonies and holiday festivals. 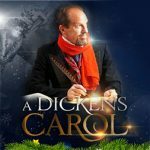 An all-new holiday tradition that re-imagines the story of Scrooge from Dickens’ point of view and real-life events. It’s 1842 Victorian London, and Dickens popularity is on the wane. It’s an all-new twist on a family ghost story that promises to melt the heart of any Scrooge out there. ‘Tis the season for family fun! 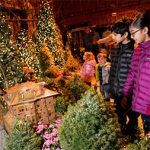 Join us at the Garden for Wonderland Express, an annual holiday extravaganza featuring magnificent model trains, magical and glittering indoor snow, and meticulously crafted Chicago landmarks in miniature. 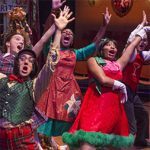 This modern holiday production weaves together riveting dialogue, astonishing puppetry, original songs and spellbinding imagery to tell a heartwarming holiday story of love, loss and hope. 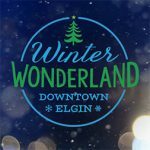 Mark your calendar, for Saturday December 1st as Winter Wonderland returns to Downtown Elgin! Join us for this family-friendly event to celebrating the magic of the holiday season! Join us in Center Court to welcome Santa for the holiday season! Santa is available for photos during all regular shopping center hours.